Love our new branding? Meet the creative force behind the new Go Brent look. Bright Light Media – a local digital design agency providing a one-stop-shop solution for companies and brands in need of graphic design, web and mobile development, and video production services. 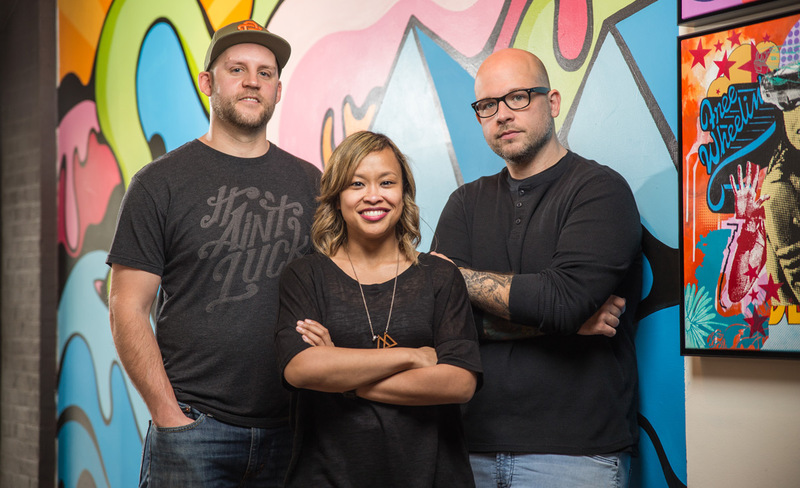 Composed of a tight-knit team of designers, developers, creators, and insomniacs who love what they do, Bright Light Media is Fred Carlini, Matt Corrado, Merrijoy Vicente, and Taylor Morden who are passionate about each project they take on. Working with clients ranging from startups to Fortune 500 and everything in between, they specialize in designing and building high-end mobile ready websites that engage viewers and drive results. This eclectic bunch is all over the map when it comes to favorite hangouts. They enjoy Silver Spring’s Quarry House and Fillmore; DC’s 9:30 Club, Black Cat and Satellite Room; Bethesda’s Mon Ami Gabi and Uncle Julio’s; Takoma Park’s Roscoe’s and Republic; and Kensington’s Sub-Urban Trading Co, Old Town Market, and Continental Pizza. Contact Bright Light Media for more information or to obtain a quote.